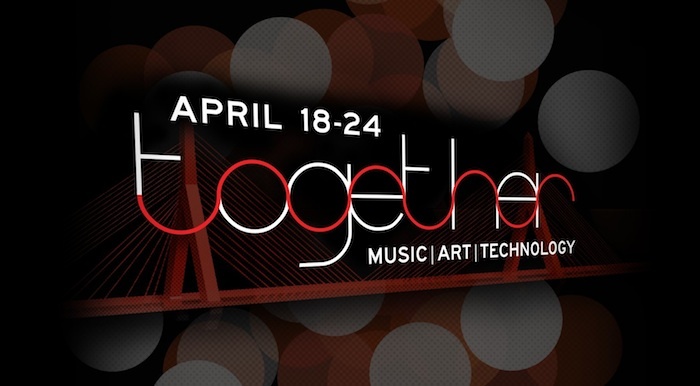 The Dubspot family is headed to Boston this week for the annual Together Festival which kicked off on Monday, April 18th. Since it’s inception in 2009, this week-long festival has been showcasing music, art, and technology by way of performances, workshops, discussions and installations throughout Boston and Cambridge, MA every year. We are proud to be involved with the 2011 Together festival and we’ve planned a wide range of events from production and performance workshops and panels to live performances, parties, and benefits. Our first event this week happens tonight at the Good Life where we’re presenting a show that features the dubbed-out styles of Ramadanman and Zed Bias. 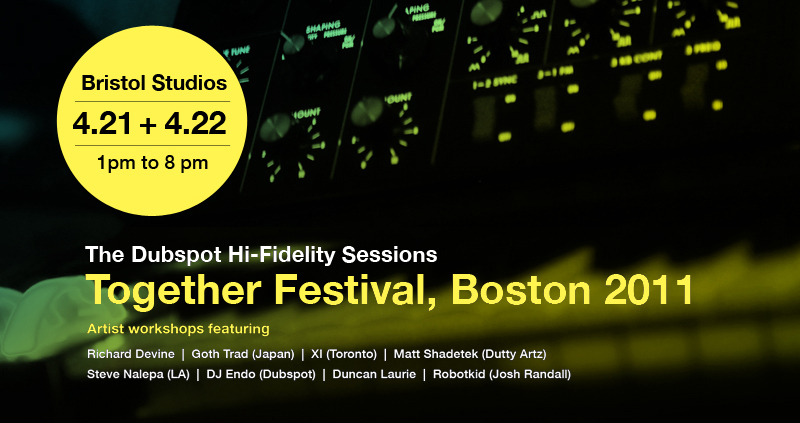 Then on Thursday and Friday this week we have a series of Free Dubspot Hi-Fidelity Sessions at Boston’s Bristol Studios with Richard Devine, Goth Trad, Steve Nalepa and other Dubspot instructors. The evening will also feature a special performance from Richard Devine. On Saturday from 12 noon until 6PM Dubspot will host a series of demo sessions at the Massachusetts College of Art and Design and a raffle for a chance to win a free Level 1 course in Abelton Live. We wrap things up properly on Sunday with the Dubspot-sponsored Road Warrior Tour where Mary Anne Hobbs, Lorn, Gonjasufi, Take, and Strangeloop will be at Boston’s Paradise Rock Club starting at 7PM. Check out our full listing of Dubspot activities events at Together Festival 2011 below! The Dubspot Hi-Fi Sessions w/ Richard Devine, Goth Trad, XI, Matt Shadetek, Steve Nalepa, Duncan Laurie, Robotkid, DJ Endo, and some very special guests! The Dubspot Hi-Fidelity Sessions represent what Dubspot aspires to bring the public: unique and exciting ways for uniting the electronic music scene and educating the people within it. At each stop, a select group of world-class DJs, producers, sound designers, and musicians join top-notch Dubspot instructors to present production and performance strategies in an intimate workshop environment. We’re looking forward to sharing ideas, joining communities, and of course, having some fun Together. We’re elated to announce that special guest Richard Devine will be joining the Dubspot crew for our Hi-Fi sessions at the Together Festival. 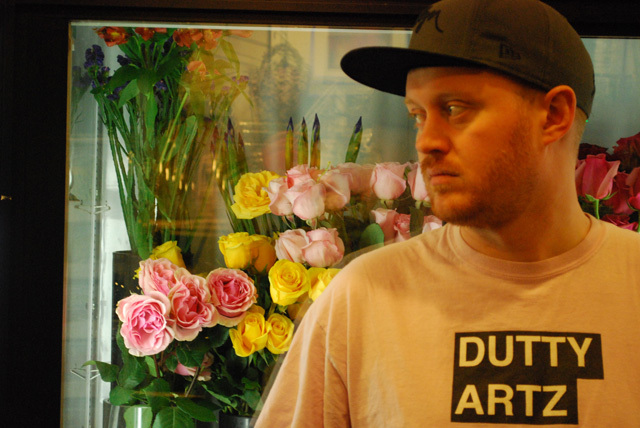 A true sound pioneer, Devine has released material on Warp and the Schematics imprint. Devine is also known for his prolific sound design work, contributing patches to popular Native Instruments plug-ins. Devine is also known for his extensive sample library, the Electronic Music Manuscript, made for Sony Creative Software. Richard Devine is an Atlanta-based electronic musician. He is recognized for producing a layered and heavily processed sound, combining influences from hip-hop to old and modern electronic music. Devine largely records for the Miami-based Schematic Records, which was founded by (Josh Kay.) He has released 4 full-length albums on Schematic, Warp, Asphodel, and Sublight records and has performed his own ear-tearing music mayhem worldwide. He has also has done film score work for Touchstone Pictures (with John Hues & Kyle Cooper),collaborated with BT (Brian Transeau on movie “Surveillance”), and collaborated with Trent Reznor of Nine Inch Nails. He has composed and designed commercials for the Nike Shoe Company and worked with various companies doing sound design for Audi, BMW, Ford, Lincoln, Mercury, Scion, Coke, Land Rover, Lexus, Peugeot, Dodge, HBO,Nestle, Nike Japan, McDonald’s, Sprite, Sony, Spike Television network and XBOX. In conjunction with TV and film work, Richard also has done programming and sound design work with major audio companies. His work has been featured on new software and hardware titles from many innovative companies such as Native Instruments, Izotope, WayOutware, Eventide Effects Company, GRM tools, Korg, Clavia Nord, Alesis, Akai, Ableton Live, Apple Computers, AccessVirus, DigiDesign, Openlabs, Universal Audio, Hartmann Neuronsynthesizers, Stanton Magnetics DJ Company, Roland, Propellerheads,Yamaha and M-Audio Division. He recently released his first official sample library through Sony Creative Software entitled The Electronic Music Manuscript: A Richard Devine Collection. After 25 years as an architectural glass designer in New York and Rhode Island, Duncan Laurie began exploring and writing about semiotics and the relationship of subtle energy technology to art. This research was complemented by experimentation, sonifying plant and mineral communications for artistic presentation. Through his longtime friendship with producer and professor Steve Nalepa, Duncan’s Rhode Island studio has been host to an impressive cast of mad scientists including Richard Devine, Boreta, Eskmo, Peter Kirn, David Last, VJ Synesthete, Aerostatic and others. Duncan will present some of his inventions and sonic toys, including a brainwave to MIDI converter, ultrasonic microphones and purr generator. As the acquisition technology expands, the inventory possibility expands as well, and Duncan’s work has been focused on the way today’s artists can incorporate these signals from nature into their compositional process. Josh Randall aka Robotkid is an A/V artist and the Creative Director at Harmonix Music in Cambridge, where he’s been dedicated to pushing the envelope of musical interaction by applying his artistic, musical, and design vision to the groundbreaking music video games Frequency, Amplitude, Karaoke Revolution, Guitar Hero, Phase, and Rock Band. Most recently, Josh was the Project Leader and Creative Director for “The Beatles: Rock Band.” In his spare time, he dedicates himself to his other passion: audio-visual remixing and performance as his alter-ego, Robotkid. Josh will present highlights from both careers, and discuss how they have intersected in interesting ways over the years. Steve Nalepa is an LA-based producer, professor, Dubspot Instructor and Ableton expert who has been teaching Live for over seven years. He’s produced tracks and collaborated with everyone from legends like Bill Laswell and Pharoah Sanders to rising electronic music artists Nosaj Thing and The Glitch Mob. He designed Dubspot’s online Ableton Live curriculum and is currently producing a weekly series of Ableton tutorial videos all year long. He will share production tips, performance techniques, and compositional strategies. He will also lead discussions with special guest artists Goth Trad, XI and others on how they incorporate Ableton Live in their studio work and live performances. Take your DJing to the next level with Native Instruments groundbreaking new DJ software Traktor Scratch Pro 2. In this workshop, attendees will learn how to transform their laptop computer to the most powerful DJ machine known to man. 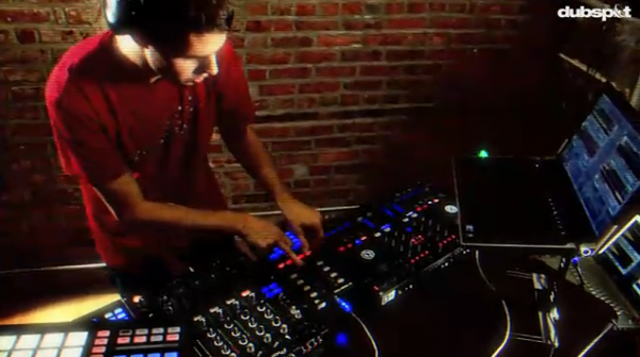 Besides learning how to control your digital music collection using timecode vinyl and CD, you will go beyond the beatmatch and learn advanced Traktor techniques such as Beatjump, cue point DJing, Looping, Effects, Harmonic Mixing and Traktor 2′s new features such as Sample Decks, Loop Recorder and the new Soft Sync which will allow you to mix vinyl or CDs in perfect sync. In addition to learning Traktor you will also learn other possibilities of how to set up your Traktor rig by syncing external studio equipment like Maschine and Ableton to Traktor. 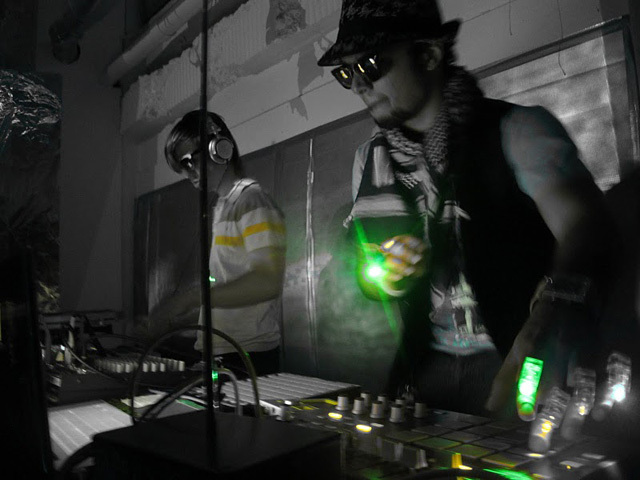 In this workshop Boston-based Dice Motion will design performable Live Sets – synchronize two laptops, demonstrate how to manage and divide musical parts, maintain a good mix while performing, and show the structure of the MIDI controllers used to drive their Ableton sessions. 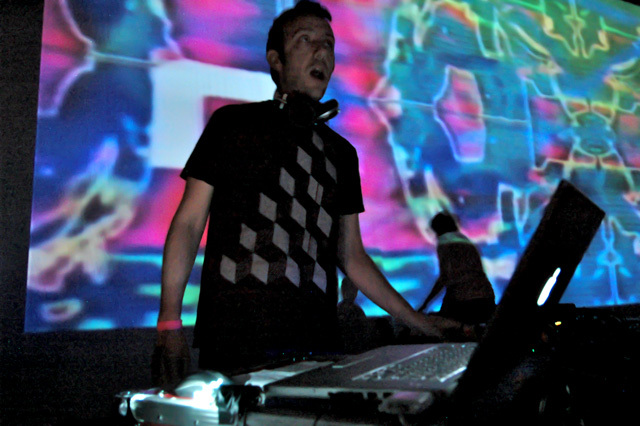 Producer/DJ and Dubspot Senior Logic Instructor Matt Shadetek has been making beats for 10 years, making a name for himself as half of Team Shadetek, and releasing records on the seminal British electronic labels Warp Records, Tigerbeat6, Jahmek The World, and Sound-Ink. Focusing on dancehall reggae, grime, dubstep, hip-hop and the cracks in between, his underground hit “Brooklyn Anthem” spawned a YouTube dance craze among Brooklyn’s teen dancehall dancers who call it the “Craziest Riddim.” He is currently working with the Dutty Artz family, which he co-founded with DJ Rupture. In his workshop Shadetek will review some of the new techniques available for creative remixing using new features in Logic 9 including flex time, converting audio to sampler tracks and offer an overview of Dubspot’s new six level Logic Pro program which the Dutty Artz founder. Aaron Bastinelli is an electronic musician, a guitarist, and producer/recording engineer/mixer. Educated at Berklee College of Music, he now works at Downtown Music Studios in SoHo and as a freelance music producer, operating out of New York City. His activities have quickly put him in regular collaboration with numerous industry leaders – like Jason Corsaro, Zach Hancock, Stephen Croes and many others – in various New York/New Jersey studios. He is currently producing several projects from New York, Los Angeles, New Jersey and Massachusetts. Aaron will do a basic overview of the functionality and usage of Maschine 1.6 both in Standalone and in a DAW format. This will cover the hierarchy of Maschine, arranging, effects, sampling, etc. A unique producer with a unique style, Goth-Trad (of Rebel Familia) has emerged from the Japanese electronic scene in the last few years as one of the most arresting artists from his generation. Freely playing samplers, keyboards and even self-made instruments, ‘The Sound Originator’ Goth-Trad creates remarkable dance music with an abstract approach. Toronto’s XI has quickly become a rising star in the city’s electronic music scene. His eclectic taste and approach to bass-driven beats has landed him on the bill with The Prodigy and Pendulum as well as headlining slots across Canada & the USA. In terms of production, XI already has a number of releases under his belt on both the solo and collaborative tip including work with Dub War’s Juakali, fellow Canadian producer DZ and tracks under the Loetech moniker alongside friend and Toronto producer Bombaman, to name a few. London producers Ramadanman (Hessle Audio) and Zed Bias (Tru Thoughts) bring their unique interpretations of UK broken beats to the Good Life bar, with Distal, DJG, Moldy, Salva, and XI supporting. 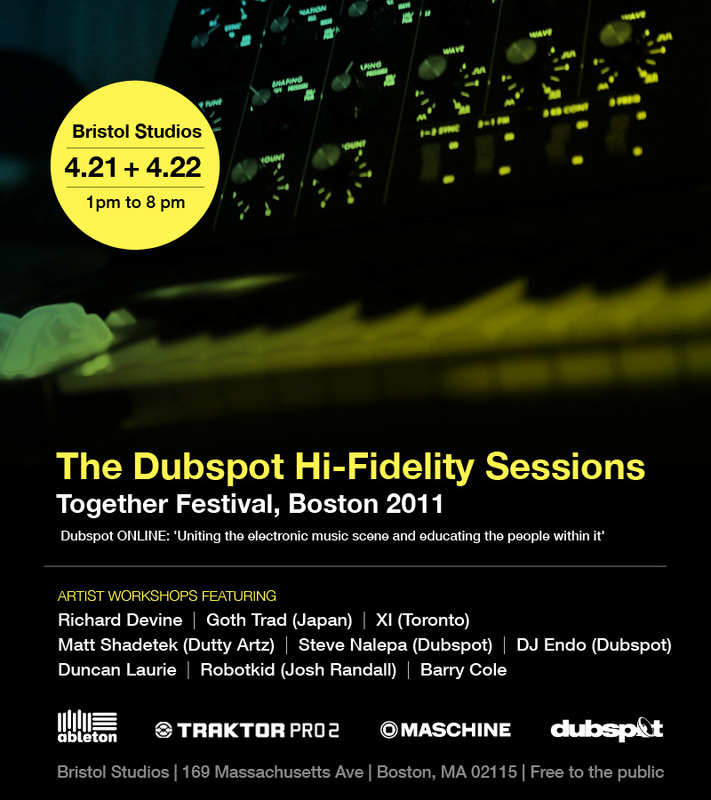 Come visit Dubspot at the Together Festival’s “Get Together” at Mass Art! Get a demo from our top instructors, learn about Dubspot Online and enter into our raffle for a chance to win a free Ableton Live Level 1 ONLINE Course! Catch the Boston stop of Mary Anne’s THE ROAD WARRIOR TOUR at the end of the Together Festival. Show will feature a mixed series of solo performances and curated showcase that features Gonjasufi, Lorn, Take, Strangeloop, and other special guests at the showcases while Hobbs performs solo. Tickets available at Groovetickets.